Frame Size: 67" x 91"
Bernard Dunaux was born in Sydney, Australia. 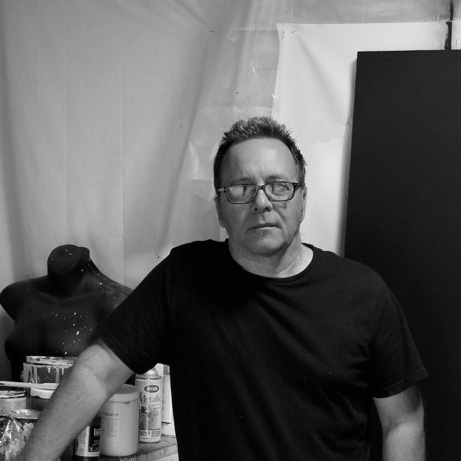 Dunaux’s abstract works arrive instinctually, calling upon his past visual experiences. Living in many different countries has informed an evolving body of work rich with the diversities of color, shape and energy. Over the years Dunaux has continually pushed forward to create artworks that are a reflection of our time, equally balanced and strikingly classic. In his latest compositions, the use of materials such as burlap, plastic sheeting and various industrial dyes add a contemporary and immediate aspect. His ColorScapes, well suited to large architectural spaces, are composed on birch panels with gesso, spray paint and a painstaking application of mixed acrylic layers. 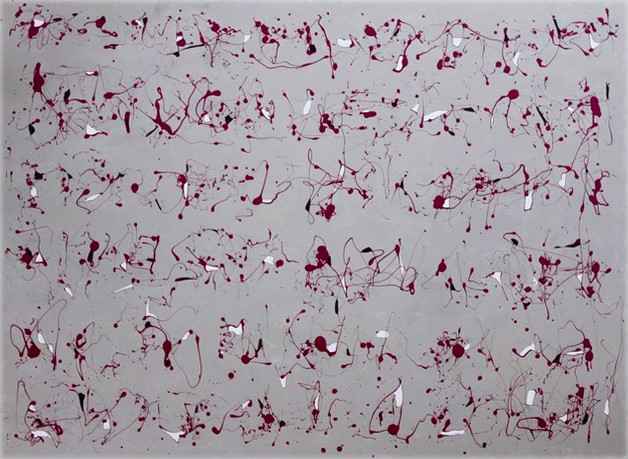 The process results in clean, “post numeric” paintings where the repetition of gesture lends a Zen-like feel. 65.5" x 89.5" Framed: 67" x 91"